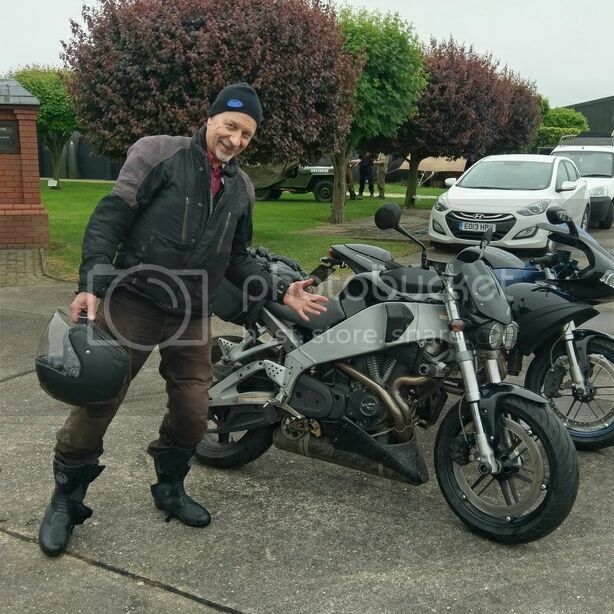 Post subject: Re: Erik Buell To Attend Ems Day 2017 - Monday 29th May. Bloody photographers timing has alot to be desired! Flossy was only showing us her suntan! Got home today to ,was the first time over for me and it won't be the last for sure! Did meet lot's of nice people the whole week. The fly by from the spit fire on saturday sounded awesome and seeing the Lancaster up close was impressive! Was cool to meet some of you in person and seeing all the Buells. Sorry l missed you brother in Buell son, and anyone else. l was probably a bit bleary eyed. Maybe we should all wear tag name badges next time? Didn't call brother in Buell s 'son' either, but this iPad seems to have predictive text! Hey Edd. I'm bad with names (especially when hungover at 8am) Did I get this right? I should not have looked at these pictures. I'm going to have nightmares tonight. I'm going to have to find The Shining on-demand so I won't be scared anymore and can sleep peacefully. Looks like a cracking time, actually. Yeah Edd ,would have been nice to talk but next time better! There was a lot to see and people to meet ,so we can't meet them all at once. I forgot about you taking that snap Kiwi. Either l had just recieved a bump on the head, or l'd just ridden back from a quick look at Skegness in the rain! These are rare items, we only had a modest quantity of posters available on the day and they sold out within half an hour of the event starting. I think Erik managed to sign all of them. Received today, the Papworth Hospital letter of acknowledgement for the money raised at Ems Day 2017.